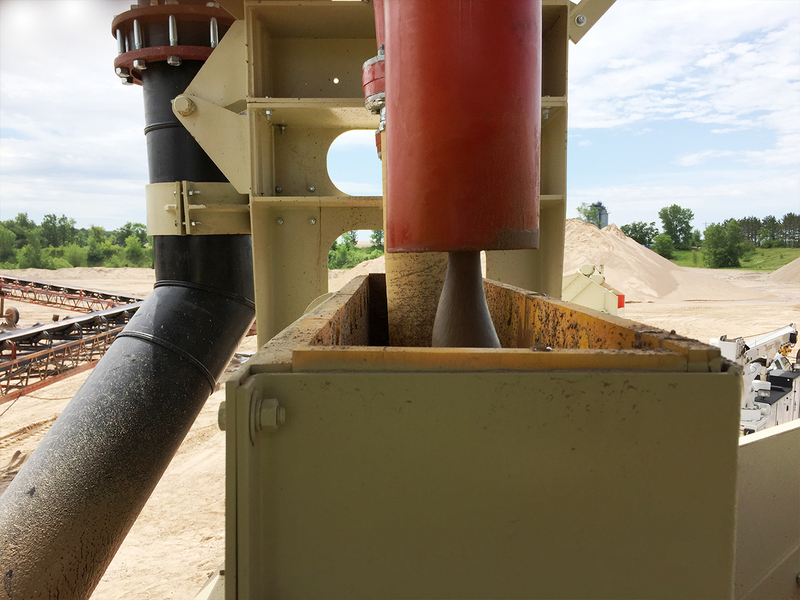 To aid in removal of unwanted sand fines or recapture valuable, sellable fines lost during washing, consider the new Helix Cyclone. 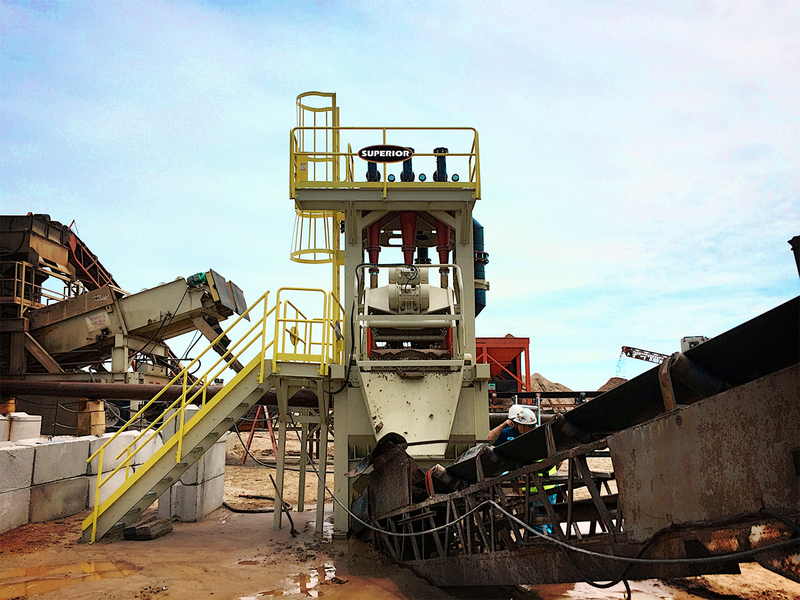 Superior continues its pursuit to design and build more unique products to supply aggregate processing applications from Rock Face to Load Out®. 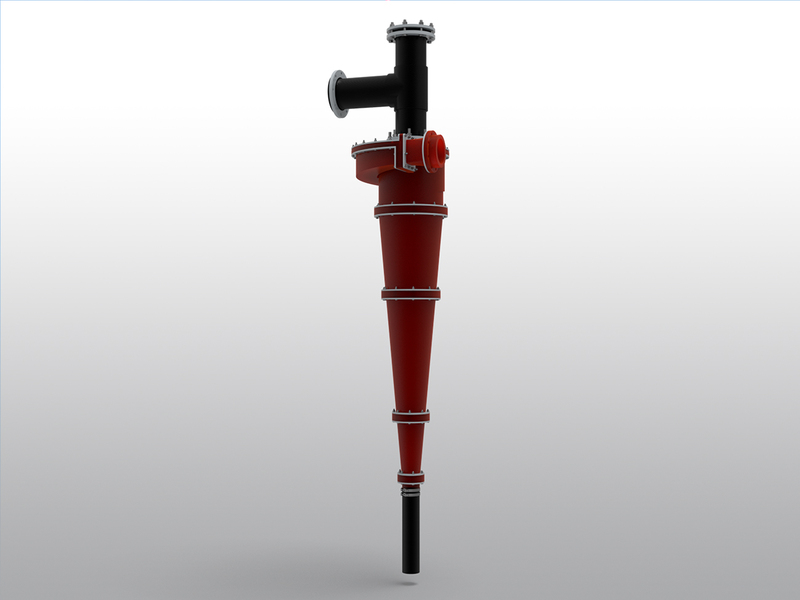 Superior’s cyclone is characterized by a uniquely-designed inlet. 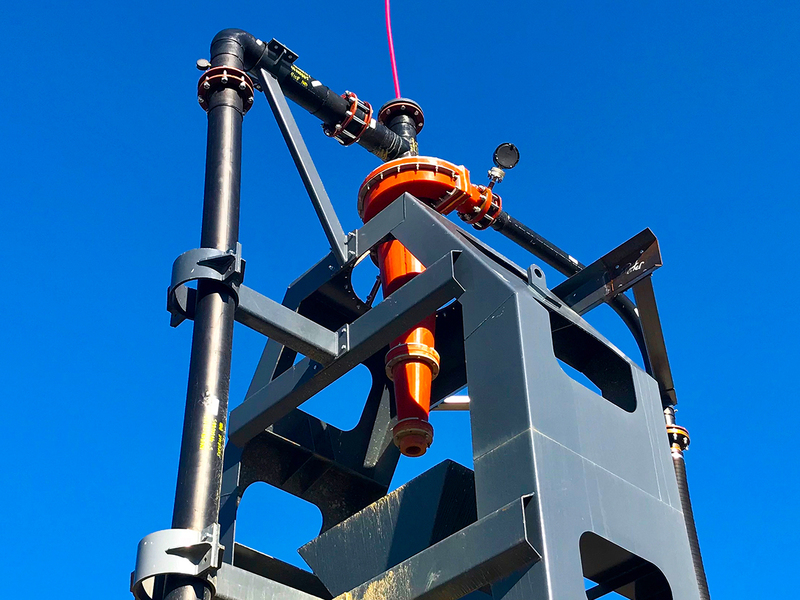 The geometrically efficient offset feed eliminates turbulence, which improves classification and reduces component wear. 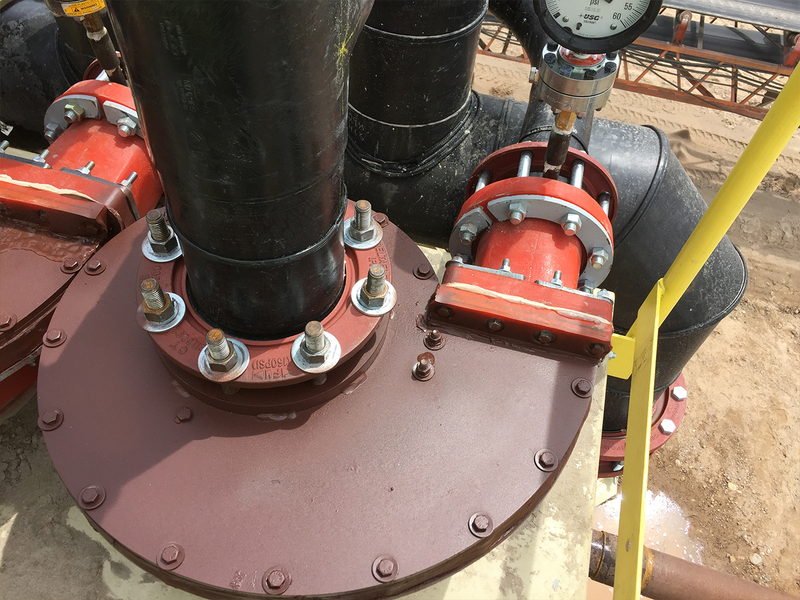 In addition, all wetted surfaces are protected with a layer of cast polyurethane, which greatly outlasts traditional rubber liners. 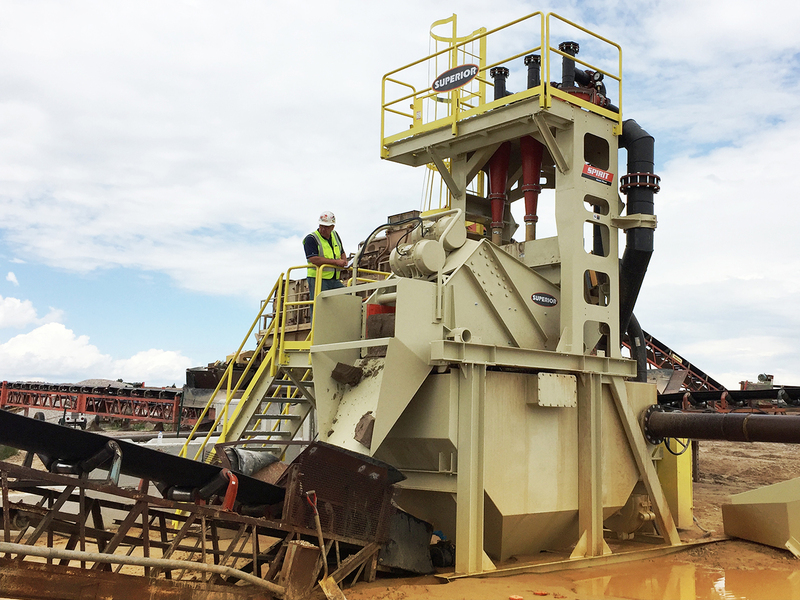 We manufacture 12″ – 16″ (305mm – 406mm) models for fines recovery applications and 16″ – 30″ models (406mm – 762mm) for sand production.